Since 2011, the cannabis-containing drug Nabiximols (trade name: Sativex) has been approved in Germany for the treatment of spasticity in multiple sclerosis (MS). With the availability of nabiximols in MS, the drug has also been used under certain conditions in patients with ALS who have spasticity. 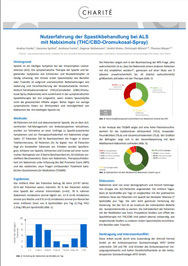 In the case of insufficient efficacy of traditional spasticity drugs (e.g., baclofen), Nabiximols is used at the Charité and other ALS centers in Germany. In 2017, a systematic survey of ALS patients was conducted for the first time to analyze the experience with nabiximols in spasticity treatment. A survey was conducted of 46 ALS patients who had spasticity, were treated with nabiximols and whose data were recorded on the ambulance partner platform. 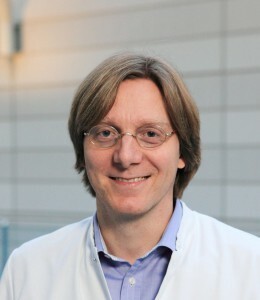 The results of the observational study were presented at a poster presentation (only available in German) at the annual meeting of the German Society for Clinical Neurophysiology and Functional Imaging (DGKN) in March 2018 in Berlin. More detailed results were published on April 18, 2018 in an outpatient clinic partner newsletter (only available in German).